If you are located in our service area, laundry pick up is free! Clothes are priced by the pound, while certain bedding is a flat rate. We also offer our pick up service for dry cleaning. All dry cleaning items are priced individually and will be delivered to your door in 72 hours. 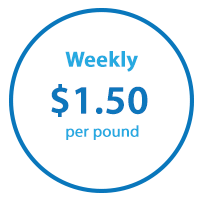 Sign up for weekly laundry pickup and save! 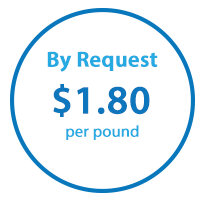 *Large bedding items will be removed from your laundry bags before your laundry is weighed. These items will then be billed on a per-piece basis.